Here’s a new regular feature that I’ve decided to start on the blog. We write a lot of posts about a lot of bands, and quite often a blog post about something we absolutely love can easily drop out of view. On top of that, some things we write about are slow burners, and while we’ll write things up as soon as we hear about them, some tracks can creep into your consciousness weeks later. So here’s my top ten for April, based on my plays according to last.fm (although it seems to miss half my plays, so I reserve the right to use a bit of licence sometimes). Alex White of Electric Soft Parade and Brakes has played a couple of gigs with his new solo project Interlocutor, despite the new ESP album due any minute now. He’s also quietly put up a couple of demos onto Bandcamp which we rather like. A couple of months ago Natasha Khan did an exclusive session for Vogue.com. Two of the tracks from this session were released on 7″ for Record Store Day which was a nice reminder of what a brilliant track Laura is. This track originally came out back in October last year so isn’t Pete and Terry’s new single. This track has crept into our top ten after being put up on Soundcloud as a free download. Officially the last track to be released by Shrag now that they’ve split. Sleeprunning is the b-side to On The Spines of Old Cathedrals, their final single to be taken from Canines. Curxes put out their fantastic new release Further Still at the end of March as a free download, and then put up the video a few weeks later. We can’t wait to see them playing the Alternative Escape in a few weeks time (Thursday 16th May – Les Enfants Terrible stage / The Mesmerist at 18:55 or Southsea fest stage / The Black Dove at 20:50). Red Cabin, with it’s retro reverb drenched rock and roll and backwards video, was an immediate hit when we heard it a couple of weeks ago. Go download it now! Black Black Hills play Brighton Noise’s stage at the Alternative Escape on Saturday at 15:50. Slow Down is one of my favourite tracks from the new Crayola Lectern album The Fall and Rise of… The whole album is fantastic, but this is the track that we’ve played the most. From the moment we heard the new Electric Soft Parade single at the end of last month, it was inevitable that it was going to end up as this months most listened to track. Breezy guitar pop at it’s finest, that sounds even better now that the sun’s out. Records Store Day is less than a month away, and this week the list of exclusive records available was announced. There are six shops taking part in Record Store Day on April 20th – Resident, Borderline, Rarekind, Cult Hero, One Stop Records and RK Bass – each of whom will be getting a selection of this year’s releases in. The bigger shops will have more stock, but they’ll also have bigger queues. We’ve spotted a few Brighton bands amongst the exclusives. 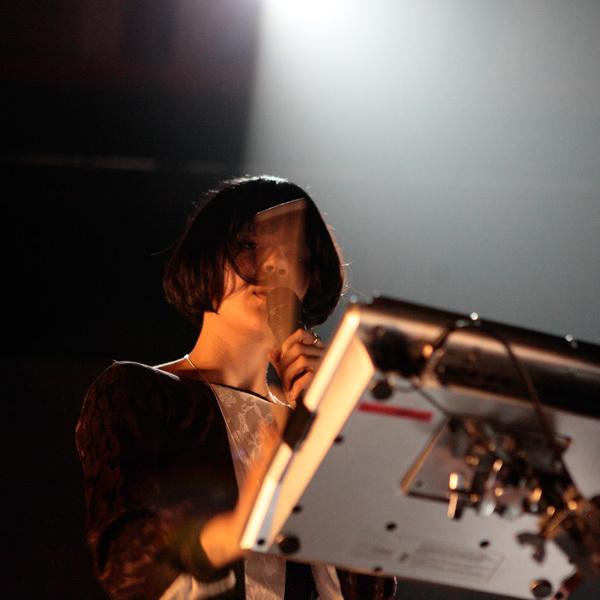 So far we’ve seen from Bat For Lashes (a 7″ with different versions of Laura an Marilyn), British Sea Power (The Facts are Right on 7″), and Curxes (who remix Chvrches ‘Recover’), but the list isn’t final yet – There’ll be even more bands added over the next three weeks. Last year’s Sea Monsters wasn’t curated by outsiders, but this year’s is. How did you come to be hosting an evening? We have a really good relationship with One Inch Badge. They’re big supporters of the magazine through their advertising and we find it very easy to write about the gigs they put on as not only are there so many to choose from, they’re also very interesting up-and-coming bands. But I guess they asked us because we’re the only magazine that exclusively writes about the Brighton music scene. Current Source cover stars Kins are second on the bill. Are headliners Written in Waters set for big things in 2013? Essentially they could be absolutely huge or drive everyone mad. They’re not for everyone – it’s a very strange mix of styles, they’re kinda goth soul meets Pink Floyd – but the people that like them really love them. Kins are much easier to get you head around – they’re really powerful on stage but also very melodic. But I don’t think many bands would find it easy to follow Written In Waters – they’re so dramatic. Come and make up your mind. You really have to see them. Who are SOURCE’s tips from the bands playing across the other nights? I guess that you might be able to tell by the people who have been in the magazine, especially those that have been on the cover. Country rock band Holy Vessels recorded our song of 2012 and they’re every bit as good live as on record. Abi Wade plays the cello like no one you’ve ever seen – totally original – while AKDK and Physics House Band are both intense and intelligent bursts of noise, the former electronic and the latter jazzy. Other that that I’m most looking forward to seeing hip hop outfit Rum Committee for the first time. If you could have got any Brighton band, past or present, to play your night who would you have chosen? Tough question – I’d very much like to see one more gig by Gloria Cycles, so they would be on the bill. Nick Cave, obviously. I saw Grinderman at the King Alfred Centre so know how powerful he can be when he’s right in front of your face. And I guess I’d like to see The Maccabees play all the early songs they won’t play any more – in a room full of over excited teenagers, like their infamous gig at the Concorde. 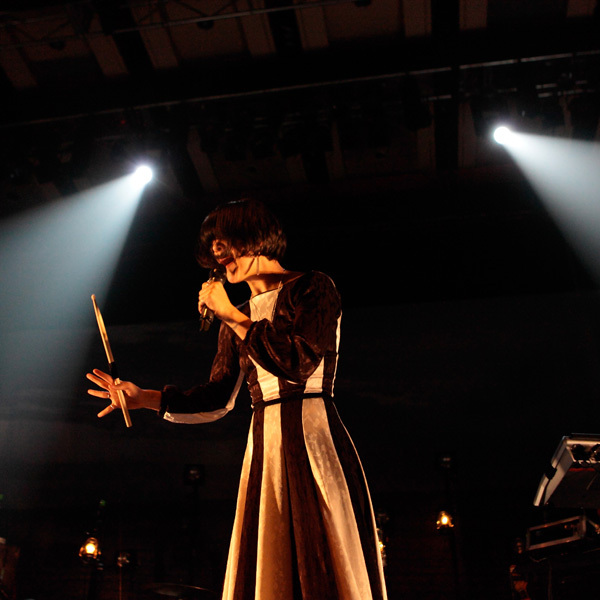 Finally I’d like to see Bat For Lashes’ first live incarnation – the all girl band – again. She was a delight in those early days. And still is, of course. That’s not a bad line up in anyone’s books. Sea Monsters seems to have replaced Brighton Live as the local music festival. Why do you think that is? I think the problem with Brighton Live – which was a brilliant idea – is that by the end it only attracted bands who weren’t already getting lots of gigs elsewhere. I was part of the board for a while and I pushed for more curated nights, something we did at Sticky Mike’s over three days as a SOURCE-branded event. I don’t want to say the rest of it was full of BIMM bands but… it was full of BIMM bands. That’s not so bad bit it isn’t representative of the Brighton scene as a whole. Brighton Live needed to tempt bands to be involved that were way too big to play for free because it was good for the community. But that never really happened. Sea Monsters works better, I think, because the bands are asked to play and already it’s seen as a badge of honour to be chosen. Because it sells out all the bands get paid, which is good. It’s a shame Brighton Live fell from its former glory because there were a lot of good people involved with very good intentions. The Haunted Man was Brighton’s other huge album this year, alongside The Maccabees Given The The Wild. 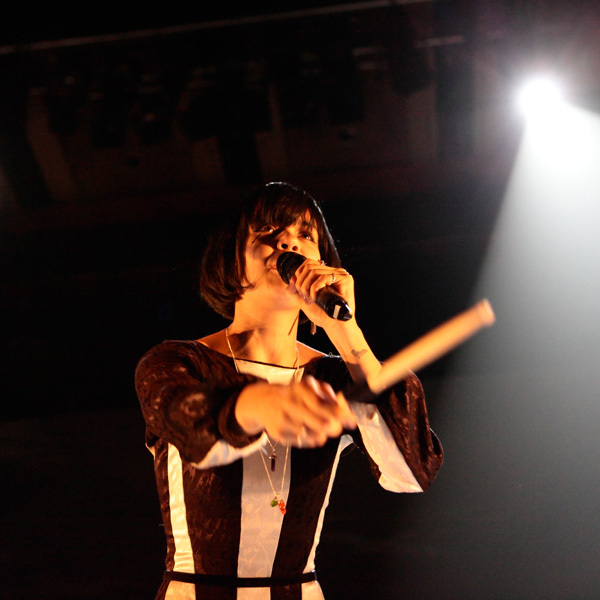 It caused a stir before it’s release with it’s provocative artwork, but lead single Laura showed that Bat For Lashes didn’t need shock tactics to create attention for the album. Natasha Khan’s homecoming concert at The Dome was definitely one of the gigs of the year for us. 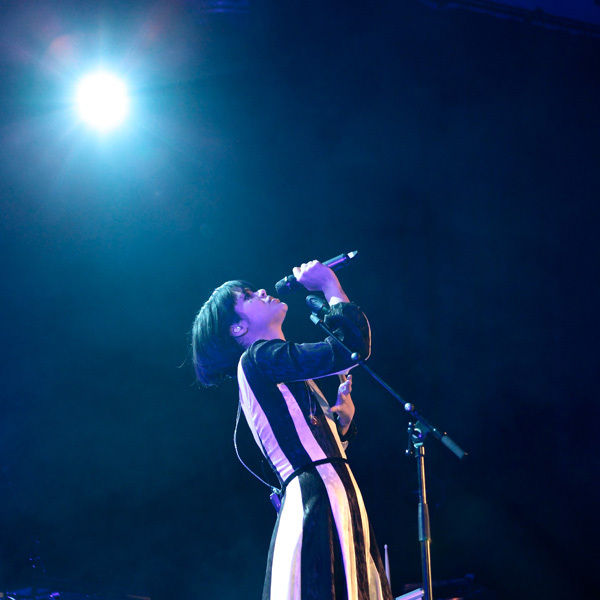 Last night, Bat for Lashes made a triumphant return to the Brighton stage. It’s been three years since Natasha Khan has played her hometown, but last night’s gig at the Dome showcasing her new album The Haunted Man was a wondrous thing. 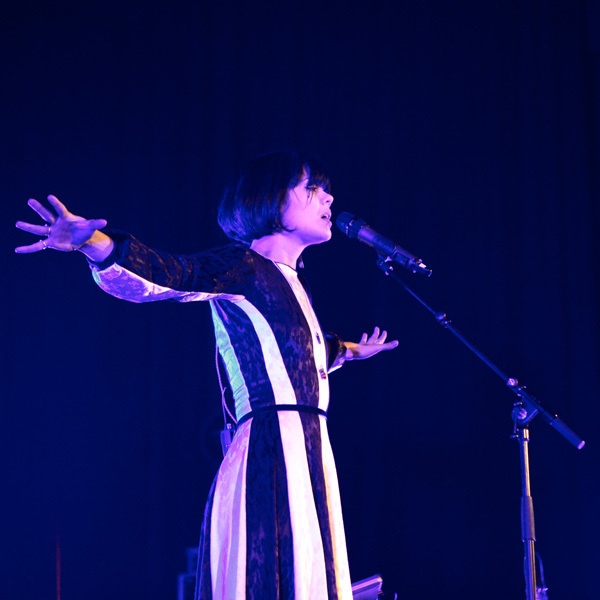 Brighton was the last date of her UK tour, and the audience was full of fans and friends alike. 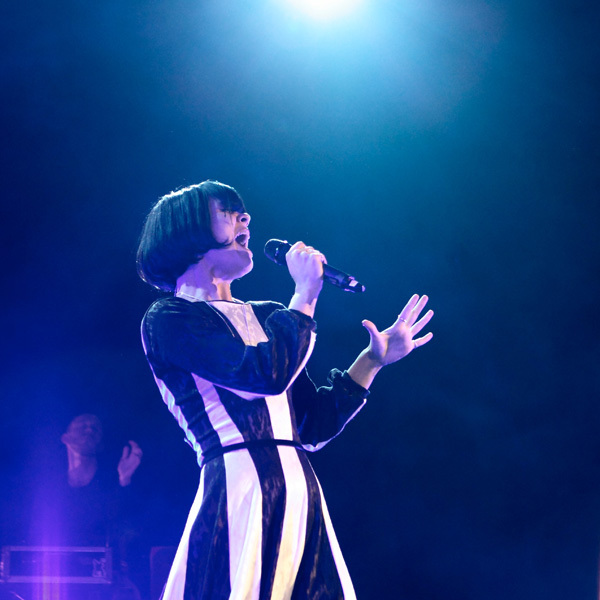 Her set was predominantly taken from the new album, with a sprinkling of tracks from her previous records, with the closing track predictably being her biggest hit Daniel. 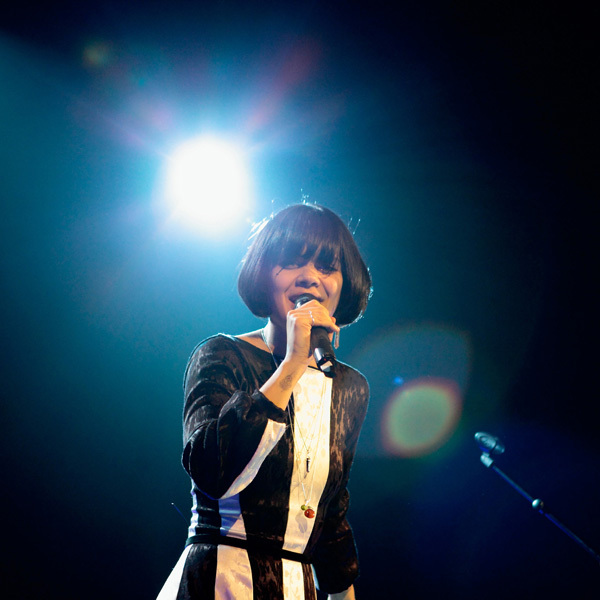 It was a real joy to see her at the Dome – the venue suited her perfectly. The stage was big enough to turn the event into a visual spectacle, and the sound was impeccable. Natasha’s voice was an absolute marvel. 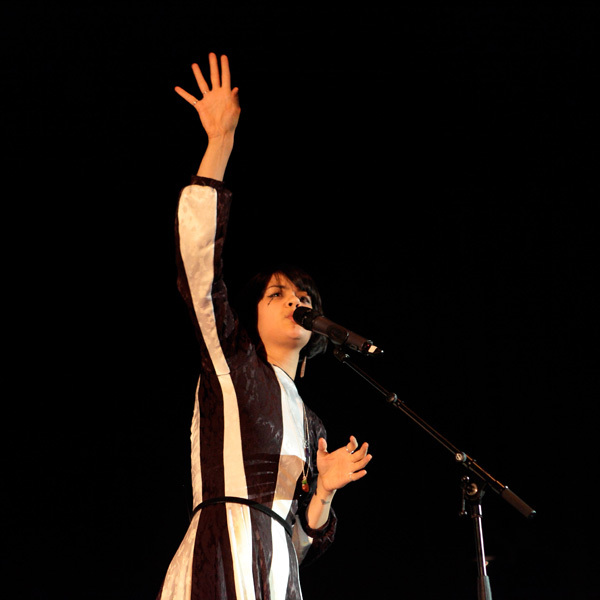 I’ll admit that I’m a little bit behind the curve when it comes to writing about the new Bat For Lashes album, The Haunted Man. It’s garnered fantastic reviews across the board, and today a brilliant feature got put up on Pitchfork, which as well as being a deeply insightful interview with some stunning photography, also felt like a who new way of using the internet. I can’t match anything that’s been put up, but what I an do is collect some of the best bits and pieces together and share them with you all. First and foremost is the Pitchfork article. Make sure you scroll down rather than paging down, or you’ll miss most of the photos. The music press has been very kind to the album. The Line of Best Fit gave it nine out of ten, and NME gave it eight out of ten. It got a good write up from Drowned in Sound too, but they don’t give ratings. It also did well in the rest of the press, with the Independent making it their cd of the week. The Guardian gave it four out of five, and the Telegraph and the Observer weren’t quite so effusive both giving it three out of five. 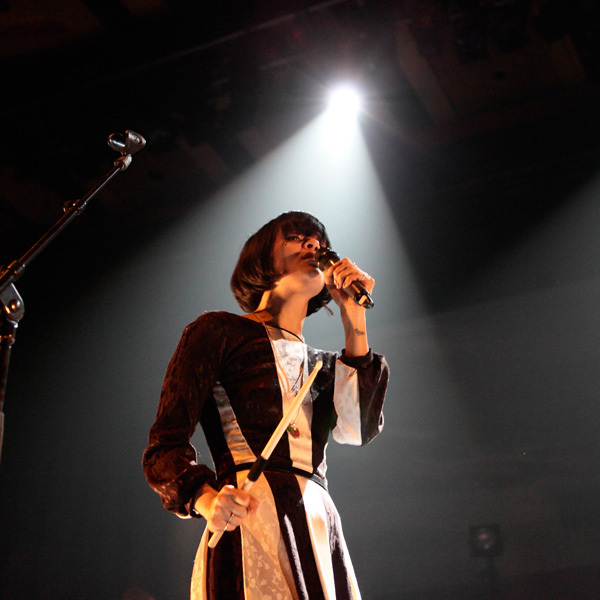 Bat for Lashes plays Brighton Dome on Sunday 4th November.